We have been asked over and over again why we have not chosen to publish this book in a normal fashion — that is, through the use of a publishing house. To be honest, we have on many occasions been approached by various publishing houses — both "Christian" and "secular" - with offers to publish. We have chosen not to do so — AND THERE IS A VERY GOOD REASON WHY WE HAVE DONE SO: It would mean surrendering control of the book to others and subjecting it to the vicissitudes of the "market place" — which is to say, to the whims of commercialism, which, as all of you know who are familiar with our work, would be anathema to us. We have, therefore, decided to make this book available FREE OF CHARGE by producing it in PDF format which any and all of you can download any time you wish. You can then print it out on your computer or — if you want to re-produce the book in color (and you do not have a color printer) — you can take it to a copy shop and have it printed out for you. The cost of printing out the book on your printer would be minimal: about $15.00 for a printer cartridge and $5.00 for a ream of paper. More, of course, if you use a color cartridge. The cost of having it professionally copied would be app. $37.00 — which is a fraction of what books of a similar length cost today. Finally — and most important — what this does is place the message contained in this book in YOUR hands. You have the initiative, not the market place, WHICH IS WHERE ALL THINGS THAT PERTAIN TO CHRIST SHOULD BE. You may make as many copies of this book as you wish — you owe us NOTHING! S.R. 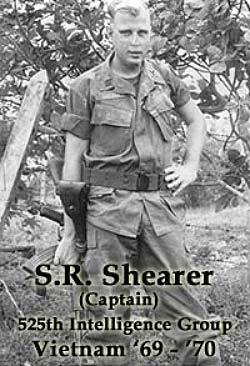 Shearer is a graduate of the University of California where he earned a Bachelor's degree (1964) and a Master's degree (1967) in history. He also attended the United States Defense Language Institute in Monterey where he studied German. From 1967 to 1972 he served as an intelligence officer in Europe; in Vietnam he served with the 525th Intelligence Group (see note below), Special Operations Branch and at the Phoenix School at Vung Tau; he earned the Bronze Star, and the Joint Services Commendation Medal for intelligence information he developed and PERSONALLY briefed to General Creighton Abrams, Commander of all forces in Vietnam, and Ambassador Colby, CIA Station Chief in Vietnam (later head of the CIA); the information that he developed was also briefed to the American Delegation at the Paris Peace Talks. Shearer held Top Secret, Special Intelligence, Codeword security, Eyes Only clearances; also Cosmic, NATO and Atomic clearances. Since leaving the intelligence community, Steve has been involved almost continually in full-time ministry to the Lord. He has been married to his wife, Lucy, for almost fifty years, has three children, and six grandchildren. Steve came to know the Lord in a small home meeting while he was a student at the University of California on December 21, 1959 - largely as the result of the testimony of one of his college fraternity brothers at Kappa Sigma. It was the height of the Cold War, Dwight Eisenhower was president and what we refer today as "Traditional America" - the America of "Leave It to Beaver" - was still very much an everyday reality to millions of Americans throughout the country. The Vietnam War was still four years away, the Civil Right's Movement had not yet gained national prominence, the Berlin Wall had not yet been built, there was no National Organization of Women, abortion was still illegal, the draft was still a part of every man's "rite of passage," female college students were still subject to on-campus "lockouts" and "curfews," there was still prayer in the schools, there was no "Gay Right's Movement" and the country was still ostensibly a "Christian nation." Eleven days later all that started to change - the 1960s began. Today it's hard to believe that there was ever anything like on-campus "lockouts" and curfews for female college students, school prayer, etc. It all seems so unreal - and countless numbers of today's Christians are prone to look back wistfully to that age as a "simpler and happier" time. But was it really? - or was it just a facade? a chimera? a dream? 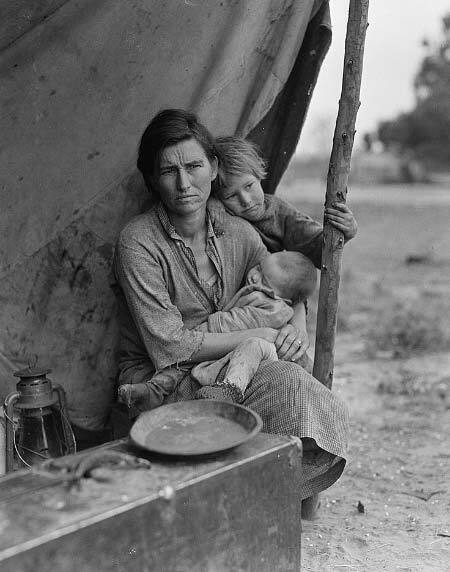 - a "bill of goods" dreamed up by today's religious right with little bearing on reality. The fact of the matter is, it was probably more facade than reality, more fake than substance. Yes, outwardly the nation was much more a Christian nation at that time than it is today; but how much reality was there behind the outward structure of that era's religion? - not much. People went to church, but most did so more out of convention than conviction; more because "it was the thing to do" than anything else. The term "born-again" was not even a part of the American lexicon, and most so-called Christians of the time wouldn't have had any idea what such a term meant. Most young people of that age had long ago seen through their parent's religious facade, and by the time they began flowing onto the campuses of the nation's colleges and universities, they were ready to "chuck it in." Most wanted nothing to do with the empty life-style and vacuous religiosity of their parents' lives. Eisenhower was a fake, a man who had been willing to leave over two thousand American GIs in communist hands - and lie about it to the American people - in order to secure peace on the Korean peninsula; blacks were a denigrated minority portrayed to millions of American whites as little more than witless morons; countless numbers of American businesses like the United Fruit Company thought nothing of enslaving the people of whole nations in order to turn a profit for their American masters; McCarthy era demagogues thought little of consigning whole classes of people (socialists, labor leaders, etc.) to the trash bin of society on the slightest suggestion that they were "un-American;" etc. But while the vacuous nature of that era's religiosity produced cynicism, it also produced an insatiable desire on the part of many to search for truth - and while cynicism led many college students of that era into the mindless narcissism of the drug culture and the so-called "sexual revolution," it led others into a search for a deeper meaning to life - a search which finally led to the "Jesus Revolution" of the late 1960s and early '70s - a revolution which owed NOTHING to the established denominations of that day; a revolution which occurred almost totally "outside of religion;" and a revolution which was, to a large degree, opposed by most of the denominations of that period - not only by the mainline denominations, but the evangelicals as well. It is an extremely unfortunate fact of life that much of the history of the "Jesus Revolution" has been rewritten - rewritten largely to accommodate the sensibilities of those evangelicals who had opposed the revolution in the first place. Today the "Jesus Revolution" has - to a large degree - been incorporated by the religious establishment, and "institutionalized" within that establishment. Indeed, if one reads most of today's histories which deal with the "Jesus Revolution" one could very well come away with the view that the revolution had been produced by, and had emanated out from, the very religious establishment which had at first opposed it - i.e., Multnomah School of the Bible, Dallas Theological Seminary, Western Seminary, Wheaton, etc. But that simply isn't the case! 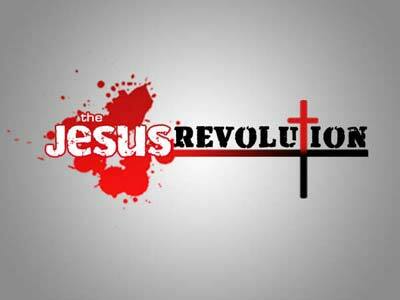 The "Jesus Revolution" occurred DESPITE these institutions, not because of them. The truth of the matter is, when the Spirit of God moves, He invariably has to move outside of the religious establishment, not within it. The "Jesus Revolution" had its genesis not within the church buildings of the fundamentalist and Pentecostal bodies of that era, but rather in small home meetings scattered across the country. Indeed, the aversion of most of the people who came to the Lord in those days against the religious establishment of that era was so great that there would probably have been no "Jesus Revolution" had it been decreed from somewhere that it had to occur within the church buildings and other confines of the religious structures of that period - and this has always been the case. It's no accident that in His day, Jesus operated from a perspective that was totally outside of and at variance with the established religion of His day - so much so that the religious leaders of that day felt impelled to crucify Him in order to end the perceived threat He seemed to constitute against their security. So also today! It's futile for people to look to the evangelical establishment of today for their salvation. The fact is, with each passing year it is ever more becoming a part of the world that Jesus came to earth to oppose. To those former members of the "Jesus Revolution," we would simply say this: remember who originally opposed you. Don't rewrite history. You probably wouldn't even be a Christian today if you had to become one inside religion rather than outside of it. Remember where your roots really are. Don't end up building the very institution which you had at the beginning so vehemently opposed - and which had so vehemently opposed you!! At some time in their lives, usually somewhere in the "middle years," most men and women reach a point where they ask, "What is life all about?" Psychologists call it the "Mid-Life Crisis." It strikes the rich and poor alike; the so-called "successful" as well as the so-called "unsuccessful." 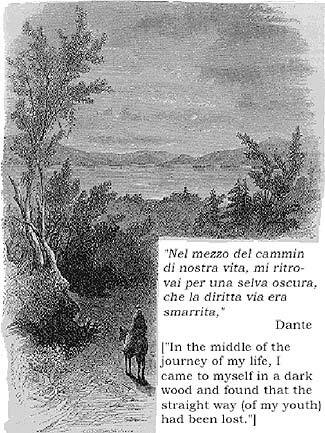 It is characterized by a pervading sense that somehow or other life has passed them by; that they have lost their way; that life is not an endless lark with unlimited horizons, but it has a definite end (DEATH), and they are fast approaching that end with very few of the ideals of their youth left intact. They are infused with an unconscious understanding that somehow or other they've gotten lost in the details of "everyday life" - making money, developing a business, raising a family, etc. - and have neglected the higher ideals and goals which had at an earlier time made up so much of what they were all about. Idealism has given away to cynicism and drudgery; optimism to pessimism. Psychologists say that such feelings will pass; that the details of their lives will again take on meaning - that all they have to do is "tough it through." But I believe that such feelings have a very real meaning and message; that people ignore this message at their own peril. And this is not only true of the unsaved, but the saved as well. "... want to provide for their own families instead of financially supporting 'The Revolution'."